Getting lines into the computer. We want to invite you to have a look into our goals and step in to become a part of it. Our goal is to have a 24 meter sailing ship purpose build to sail with youngsters. She will be tough, have many bunks, be very seaworthy, but mostly she will be the beginning of a new life for many. 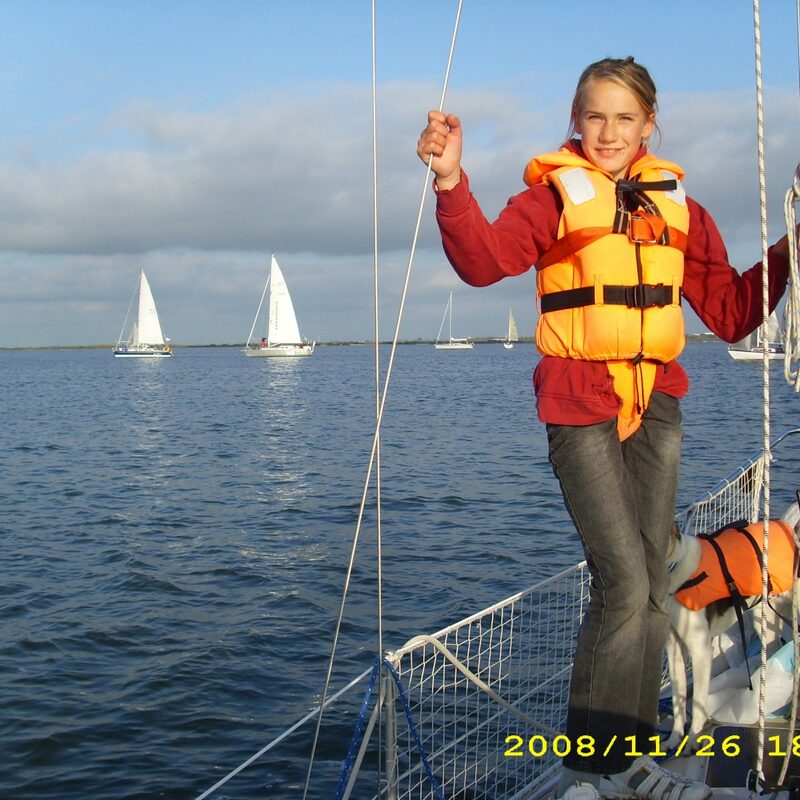 Our mission is to inspire young people through the challenge of sailing & land based adventures. A range of longer ocean voyages and shorter coastal trips aboard our sturdy training vessel will provide a uniquely powerful and extremely effective environment for the personal development of young people from a diverse range of backgrounds. It’s a true joy to work on it, and I wish with all my heart that I can find some willing sponsors & supporters to join in on this adventure to help set up this program so we can make it our mission to share our joy and life lessons, showing the coming generation what this world has to offer and how they can make the best out of it. 7 years ago I started out on a dream I had had for many years, one I had to fight for, very very hard. 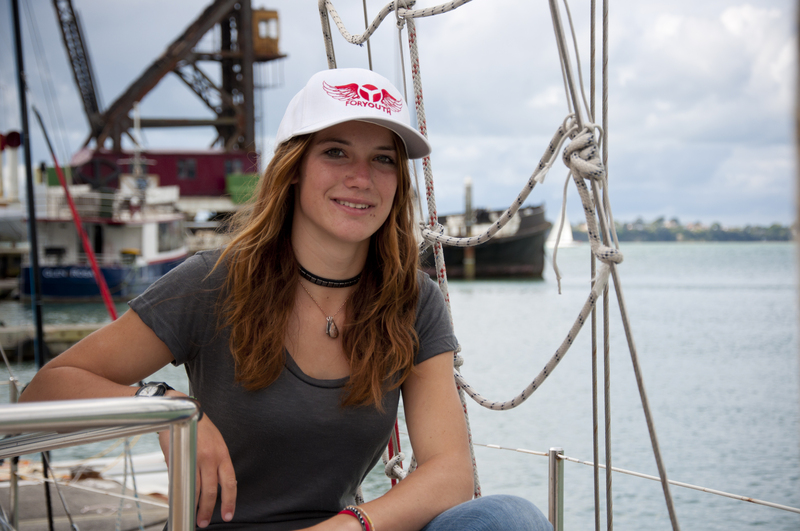 I set off to sail around the world on my own at age 14 and successfully finished my trip at 16 years of age. I felt like I had gained the buildings blocks I needed to start my life during the journey and was bound for more. On the ocean I learned to stop fighting against everything, life isn’t always fair and neither are the waves and the wind always doing what I want them to do. But there is no point in fighting, you can’t change it, so I learned to make the best of it and accept the situation as it is – to be happy with what I have at the moment, to respect and appreciate my surroundings. The ocean also thought me the extreme fulfillment one can get from fighting trough hard times and coming out stronger on the other end. I gained more self confidence, I learned a lot about myself, I had time to think – having no distractions from the mainland 😉 And these are just some of the wonderful gifts the oceans and the people I met along the way gave me. This trip is the reason why I want to start this new project – I know the value of it firsthand. Would you also like to help kids to reach their full potential and realise their own dreams? And so I see this new project also, I believe we can run a successful Trust benefiting the youth of today greatly. But we will need some help to get it started. Getting the build of the ship financed and started is priority number one – this is the one big thing we cannot do ourselves financially and time-wise. Or just by telling your friends ? We are looking for sponsors who are able to help us financially but also sponsors who can help us with the things we need. Your company logo can be shown on the website, sailing gear & sails. Size of the logo and were it will be shown depends on the degree of involvement and investment. We can also offer advertisement in blogs, interviews and in other content on the website – of course we’re also open to find more creative ways in which we can help each other. Nice. Success with the project!